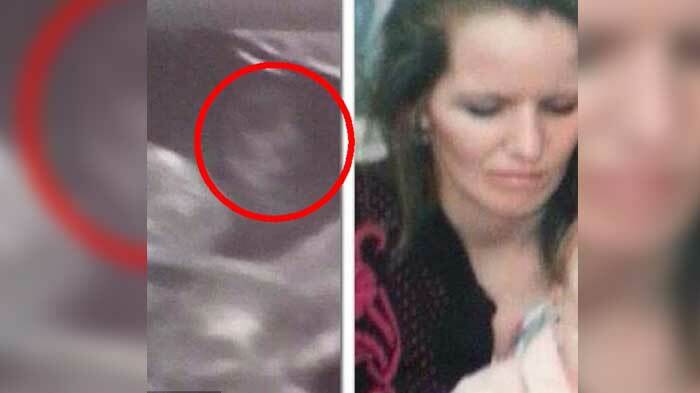 When Rebecca Melia went to the doctors for an ultrasound, the doctor and nurses were shocked to see something unidentifiable in the photo. During this time, Rebecca had recently lost her mother and was sad that she never got the chance to tell her mom that she was pregnant. In addition, it was hard for her to accept that her child was going to grow up without a grandmother. The mother-to-be was anxious during her doctor’s visit. The nurses continue to show concern when looking at her ultrasound. “I could tell that they had seen something on the scan. I was convinced it was something wrong with my baby boy,” she reveals. But once she found out what they were looking at, she instantly became happy. Before her appointment, she admitted that she was going through photos and looking at pictures of her mom. She asked her mom if she could watch over her and her child. She was sure that her mother was listening. 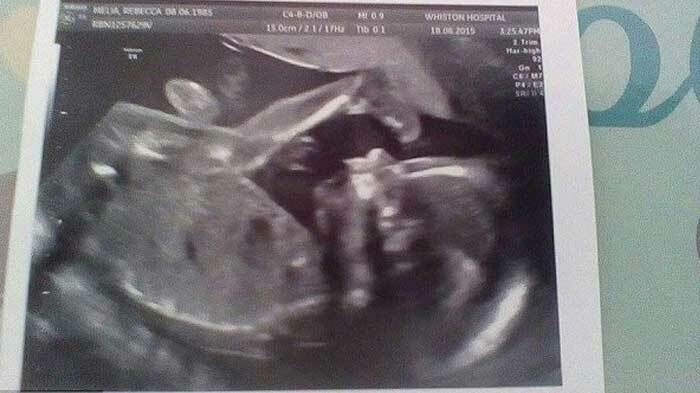 After she got a look at the ultrasound she went home to share the photo on Facebook, “I couldn’t believe it. I was shocked, happy and overwhelmed, all at the same time,” she says. 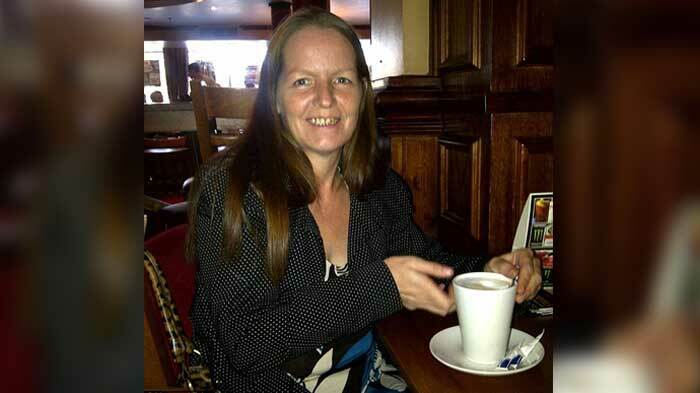 In the photo Rebecca believes that the unidentifiable spot that the nurses were looking at was her mother’s face. 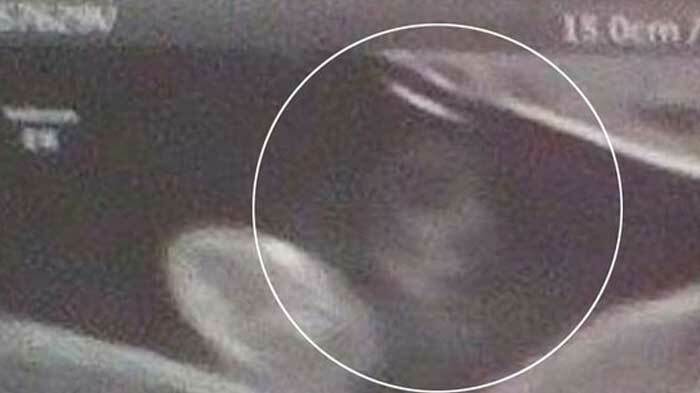 It appears that she was watching over her and her child, just like Rebecca had asked her to. “My mom’s face, which I long to see was there clear as day in my scan,” she says. 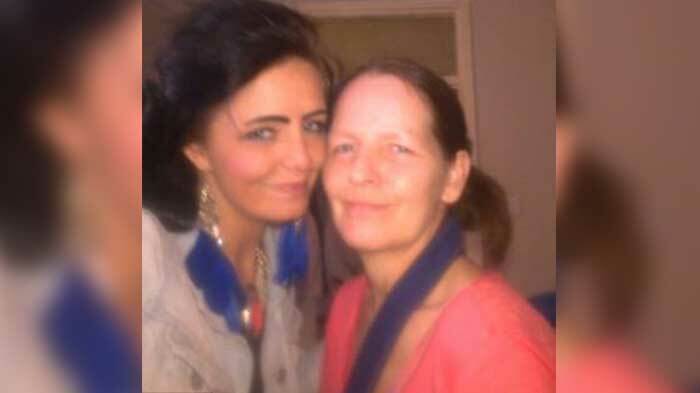 “I wanted to share the story to bring comfort to others who have lost their loved ones and show this is proof that loved ones who have died may not be seen but there’s still here.” Her mother had passed away earlier this year from kidney cancer.